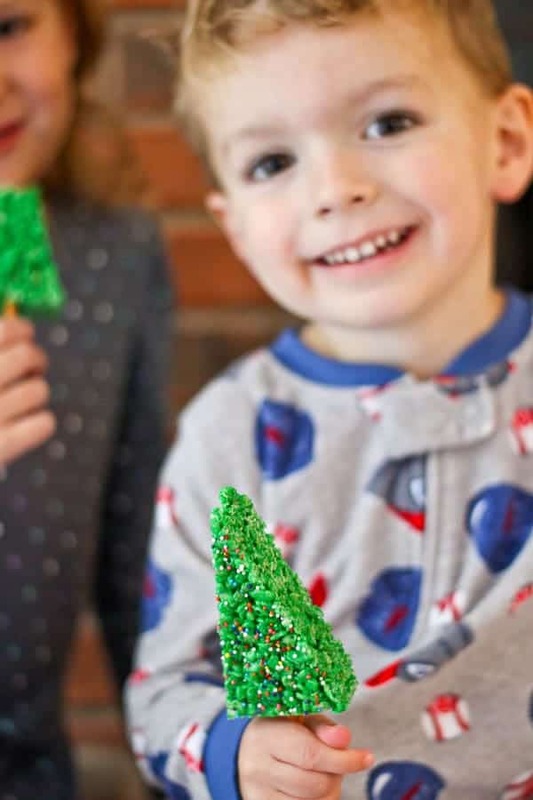 Christmas Tree Rice Krispie Treats are SO simple to make and kids adore the fun shape and color. If you’re scrambling for a last minute holiday treat, these are it! Last minute Christmas parties or school events… they happen to all of us. I’m not going to lie; this food blogger often defaults to Rice Krispie treats. 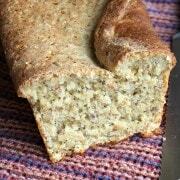 They’re SO easy to make (ridiculously easy), they’re okay for my nut-free kids, and they’re relatively neat. Meaning when my toddlers eat them, I won’t have to change their clothes. Or their teacher won’t have to spend 10 minutes cleaning up the table. And chairs. And floor. 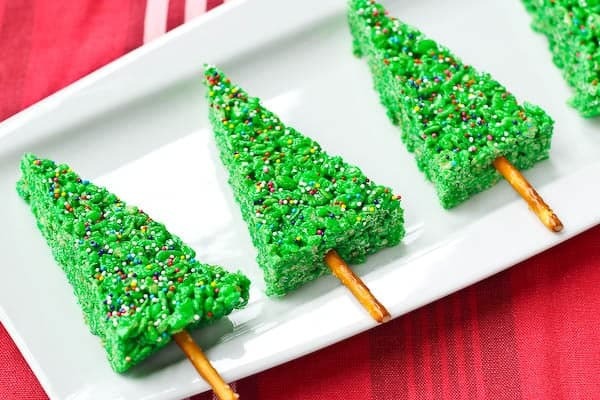 I’ve seen a couple versions of Rice Krispie treat Christmas trees, but they’ve all been cone-shaped. These are way easier to make, and I’d argue they are just as cute. It’s as easy as dying them green, cutting them into triangles, and sticking a pretzel stick in them. The hardest part is getting the pretzel stick to not break. Seriously, that’s the hardest part. I think you can handle this. Also – gentle but firm pressure is the key to the pretzel sticks. Plus if you break any, you have two options: a shorter tree trunk or a delicious pretzel snack. I’d say this is a win-win situation, wouldn’t you? If you can’t quite imagine how to cut the pan of rice krispie treats, I made this little graphic to help! You end up with a couple of half trees to use for quality control and taste testing. It’s still way easier (and way less waste) than cutting them with a cookie cutter. Note: Yield will depend on how skinny you cut your trees and you should expect 16-20 trees out of one pan. My kids adored these – they were absolutely obsessed. 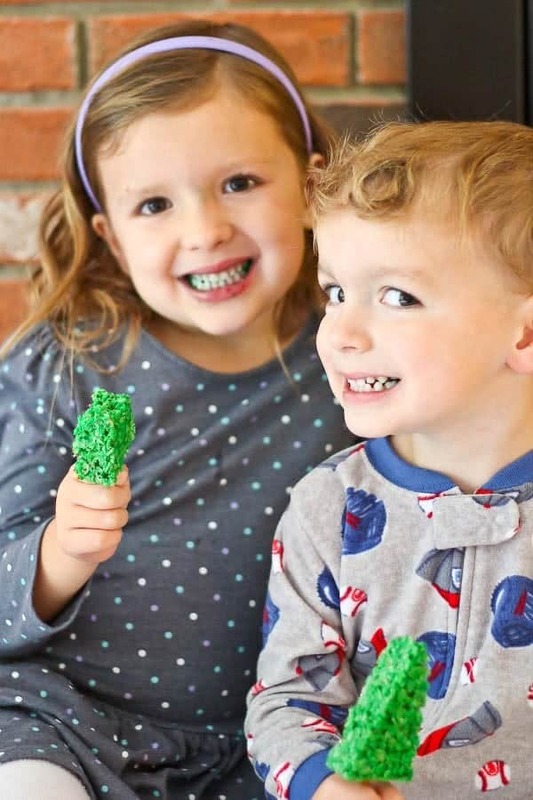 They did turn their mouths green, but that’s part of the fun! They also turned other things green but maybe we won’t talk about that? Okay, good. If you’ve got a few extra minutes on your hands and you really want to impress the other parents at the school Christmas party, give these sandwich cookie snowmen a try. Another quick and easy holiday treat is this cookies and cream fudge. Holiday Oreos give it a fun and festive color. If you’re looking for more of a chocolate fix, these santa hat brownies are pretty close to the cutest thing I’ve ever seen. Okay – these reindeer cupcakes definitely are putting up some strong competition for cutest holiday treat. Let’s just eat both and call it a tie, okay? Now there’s no excuse for not being that mom that brings darling treats into school. Well, besides kids, sleep, and general life craziness. Those are all fantastic excuses. 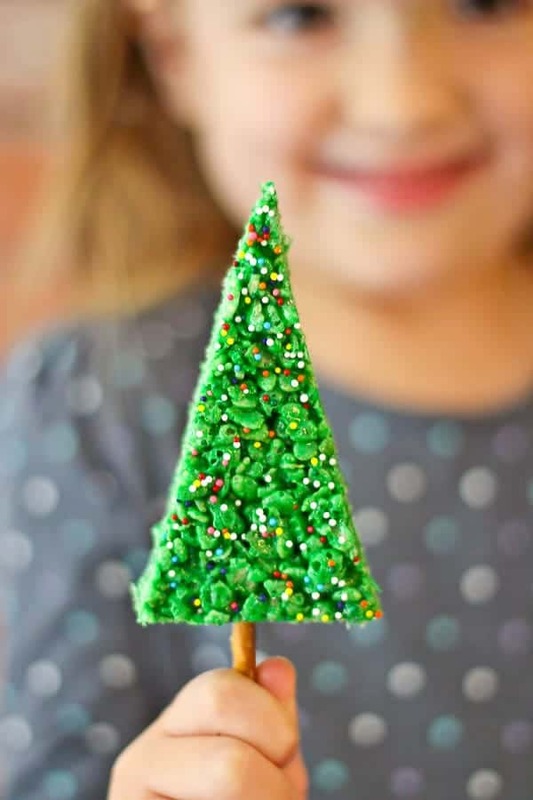 But you can definitely handle these adorable Rice Krispie treat Christmas trees. PS: This gel food coloring is the type I like to use. 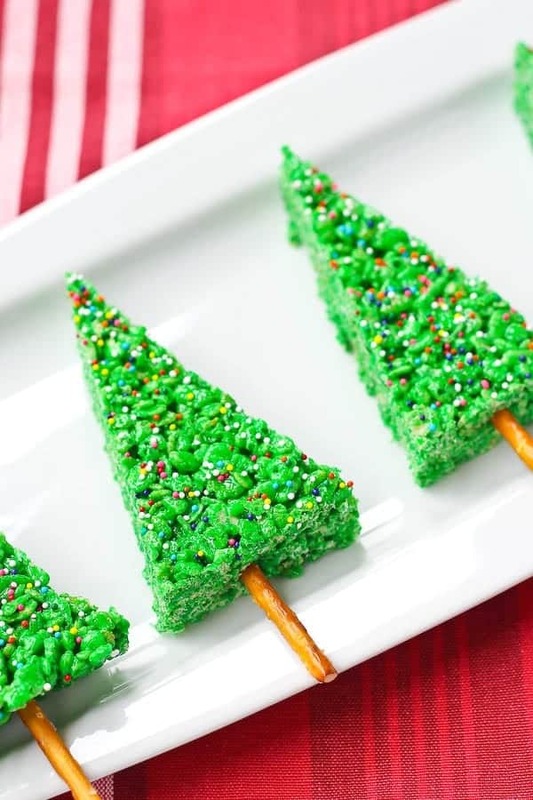 Watch the 1 minute video to learn how to make these Christmas Tree Rice Krispie Treats! 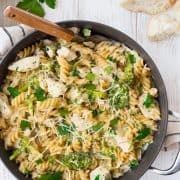 I originally developed this recipe as a freelancer for Food Fanatic. These were a huge hit for my son’s Christmas party. Thank you for sharing yo your recipe and creativity with us. I’m so happy to hear that! Thank you so much for taking the time to come back and leave a comment, it means so much to me! You could make them the day before, but I wouldn’t do it any further in advance than that. Enjoy! Oh man! Being sick at the holidays is the worst! So glad you like these (I’m making them tomorrow too!). Thank you so much for taking the time to come and leave a comment – it means so much to me! I made these for my grandsons. They loved them. I made some red ones too just for a more festive look. I found in putting the pretzels in, it made it very easy by first making a hole with the end of a craft paintbrush. Worked out very well. I’m thrilled to hear these were a success for you, Linda! Thanks for the paintbrush tip! Wow these are so clever!! I used 40 large marshmallows, should have used 50 to make them more chewy. These need a touch more structure than traditional square rice krispie treats. I’m sure 50 marshmallows would taste great, but they might not hold the triangle shape as well. Looks cute, kids are going to love it! 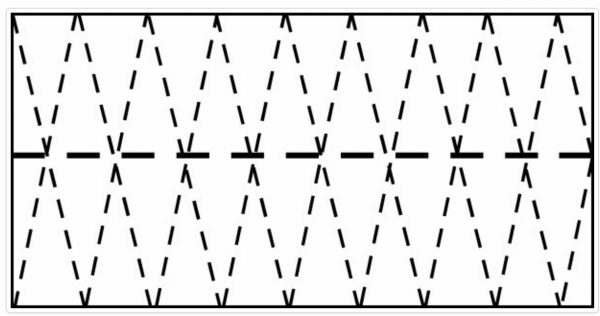 Am I correcin seeing that these make about 32 trees? I need at least 23 for my son’s school classroom and just wondered if I need to do a double batch. How did you attach the Xmas tree trunk? When do you push it in? I haven’t started yet but I’m guessing after it cools 30 mins and gets hard I won’t be able to do that. Just about to start so fingers crossed. Baiting charging the drill in case I need to drill a hole out to put the pretzel in. Yes it is panic time lol. If you read this soon please let me know. Haha! It’s not hard, you’ll see! You push it in after you cut them into triangles. This is perfect for the double batch of holiday treats I need to make for my kids’ holiday classroom parties. Thanks for thinking of us “real” moms! Aaw your kids are SO cute and so are these RKT!! I love how much easier they are to make without the cones! My kids will have a blast making these! I love the Christmas tree idea! If you want to make these a little more ‘gourmet’, stir in 3 Tablespoons of flavored gelatin (Jell-O, etc). You could also skip the green dye and enrobe the trees in white chocolate and then sprinkle on the candy sprinkles. 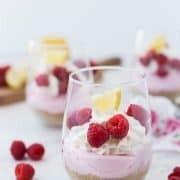 As an example, stir in strawberry Jell-O, dip in the white chocolate and they become a ‘strawberry shortcake’ flavor. Another idea, stir in lime Jell-O and keep the green dye – you’ve got ‘Christmas in the Florida Keys’ (Key Lime…). Oh my stars, you’ve got my creative juices flowing!